Our mission is to provide a platform where education professionals are paired with institutions and/or organizations that provide instruction, services or goods to children of all ages in a traditional and non-traditional educational setting. We provide a deeper talent pool of qualified education professionals because we have a remarkable understanding of educational industry trends. With our proven recruitment process, we pride ourselves at being experts in finding right fit candidates. 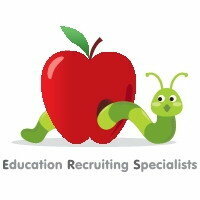 If your mission is to impact a child's life in a meaningful way, let Education Recruiting Specialists find the right fit candidate to help you succeed. We are confident that ERS can provide your company with qualified leaders in early childhood education, school age programming, school districts, colleges, universities and educational supply and services companies.